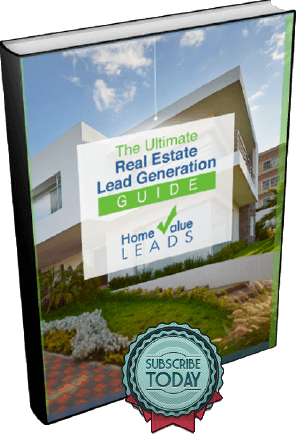 The terms “we”, “us”, “our”, “HVL”, or “Home Value Leads” shall refer to Home Value Leads, Inc., a Washington corporation doing business as HomeValueLeads.com. The terms “you”, “your”, “user”, or “customer” shall refer to any individual or entity who accepts this Agreement, has access to your account, or uses the Services. “Site” or “Website” shall refer to www.HomeValueLeads.com. “Services” shall refer to the products, services, and/or goods provided by us, whether or not through the Site, and whether or not you have paid for them. This Site and the Services found at this Site are available only to Users who can form legally binding contracts under applicable law. By using this Site or the Services found at this Site, you represent and warrant that you are (i) at least 18 years of age, (ii) otherwise recognized as being able to form legally binding contracts under applicable law, (iii) are not a person barred from purchasing or receiving the Services found at this Site under the laws of the United States or other applicable jurisdiction, and (iiii) are not a person residing in the EEA. If you are entering into this Agreement on behalf of a corporate entity, you represent and warrant that you have the legal authority to bind such corporate entity to the terms and conditions contained in this Agreement, in which case the terms “you”, “your”, “User” or “customer” shall refer to such corporate entity. If you do not have the legal authority to bind such corporate entity, you will be personally responsible for the obligations contained in this Agreement, including, but not limited to, the payment obligations. HVL shall not be liable for any loss or damage resulting from HVL’s reliance on any instruction, notice, document, or communication reasonably believed by HVL to be genuine and originating from an authorized representative of your corporate entity. If there is reasonable doubt about the authenticity of any such instruction, notice, document or communication, HVL reserves the right (but undertakes no duty) to require additional authentication from you. HVL makes no representation or warranty that the Services or the content available on this Site are appropriate in every state or jurisdiction. Users who choose to access this Site or the Services are responsible for compliance with all local laws, rules and regulations. If we determine, in our reasonably exercised discretion, that you have violated the spirit or letter of this Agreement or any other HVL policies, we will cancel your account without notice to you. When your account is canceled, you remain responsible for paying any amounts due to HVL, and you must immediately pay such amounts to HVL. Examples of your conduct which might result in us cancelling your account include, but are not limited to: Failure to enter valid credit card information when asked by us, a credit card company declining to honor the credit card information you gave us, signing up for more than one introductory trial, failure to timely pay amounts due, use of the Services or Site for illegal or unethical purposes, use of the Services or the Site to infringe on the rights of others, harassment of HVL or its customers, making threats to any person, extraordinary consumption of HVL resources or the time of HVL staff, or any breaches of this Agreement. This is an illustrative, but not an exhaustive, list of conduct which will prompt the cancellation of your account. You may not copy or distribute in any medium any part of this Site or the Services found at this Site, except where expressly authorized by HVL. When you purchase Services, you are purchasing only the right to use a website landing page during the term of this Agreement, and this right endures only as long as you are complying with the terms of this Agreement. You are not purchasing the website files, code, or any portion of the backend. You agree not to make any false statements to us at any time, and you agree not to use pseudonyms or “dummy” account information when using the Site. You agree not to misrepresent whether you have already participated in an introductory trial, as described below. To ensure account information is accurate and we can reach you if there is a problem, you agree to keep your account information current and updated at all times, and to provide us with a valid email address. HVL assumes no liability or responsibility for your failure to receive an email notification if such failure results from an inaccurate email address. Unless otherwise agreed in writing, you will pay all sums due by means of a valid, active credit card. HVL expressly reserves the right to retain your old credit card information and bill an old credit card if a more recent card is determined to be invalid, inoperative, or otherwise fails to make payment. You agree that HVL may share your payment information, including credit card numbers, home address, and related information, with third-party payment processing firms in order to process your purchase of Services from us. Unless otherwise specified by us in our communications with you, during the Services term, we will bill you and charge your credit card on the monthly anniversary of the day after the expiration of your introductory trial, unless that day falls on the 31st day of a given month, in which case you will be billed on the 30th of each month. Your payment date may vary, however, so please monitor our communications with you, which will take precedence over this section. If HVL is unable to charge your credit card for the full amount owed for the Services, your account may be canceled, and you will remain responsible for making all payments due. If we have canceled your account in the past because of your failure to pay, and you want to sign up for a new account, we reserve the right to assess a $49.99 surcharge in addition to the normal amounts due on your first payment due date. However, if you sign up again after your account was cancelled, you may not be able to retrieve information from your previous account. If HVL receives notification of a chargeback, reversal, payment dispute, or is charged a penalty for any fee it previously charged to your credit card, you agree that HVL may pursue all available lawful remedies in order to obtain payment, including but not limited to, immediate cancellation, without notice to you, of any domain names or Services registered or provided by us to you. HVL also reserves the right to charge you reasonable “administrative fees” or “processing fees” for (i) tasks HVL may perform outside the normal scope of its Services, (ii) additional time and/or costs HVL may incur in providing its Services, and/or (iii) your noncompliance with this Agreement (as determined by HVL in its reasonably exercised discretion). Typical administrative or processing fee scenarios include, but are not limited to (i) customer service issues that require additional personal time or attention; (ii) disputes that require accounting or legal services, whether performed by HVL staff or by outside firms retained by HVL; (iii) recouping any and all costs and fees, including the cost of Services, incurred by HVL as the results of chargebacks or other payment disputes brought by you, your bank, or your credit card processor. These administrative fees or processing fees may be billed to any credit card you have on file with HVL. You acknowledge that we may cancel your account immediately after receiving the cancellation notice from you, after which all your account information will be deactivated and unavailable to you. As soon as your account is cancelled, whether by us or by you, the site has been deactivated, there is no way to retrieve information that was in the account. After your account is cancelled, you will be unable to retrieve any data stored on our systems, including, but not limited to, data associated with leads, such as phone numbers, names, addresses, or messages. We recommend that you export leads before cancelling your account, because HVL is not liable for any information that is lost due to the cancellation of your account. You may cancel your account by clicking on the “cancel” link in the email sent to you after you signed up. Clicking on that link will immediately cancel your account. Alternatively, you may send a cancellation request to support@homevalueleads.com from the email address you used to register your account. HVL reserves the right to change prices for Services and/or payment due dates with appropriate notice to you. By continuing to use the Services after receiving notice of a change, you agree to make payments at those new prices at the time and in the manner specified in our communications with you. If you object to any changes, you must immediately notify us and cancel your account, or else you will be held responsible for paying the new prices. From time to time, HVL may offer a promotional rate for customers who agree to purchase Services for an extended term. By accepting a promotional rate, you understand that your right to receive the promotional rate shall retroactively terminate if you cancel the Services before the end of the extended term. At the end of the multi month period your billing terms will revert back to monthly unless you request the multi month term to automatically renew before hand. Domain names are an important aspect of the Services. We strongly recommend that you register a domain name quickly and provide it to us in the manner specified in our communications with you. If you do not register a domain name, we have the right, but not the obligation, to register a domain name for you to use as part of providing Services to you. The domain name we register will not necessarily be appropriate for your intended geographic area, and any domain name registered by HVL will be owned by HVL. You will have no ownership or other rights to the domain name beyond the temporary right to use it in accordance with our provision of the Services. When your Services term ends, or your account is canceled, any domain name registered by HVL will remain the property of HVL. HVL does not offer refunds, whether prorated or not, for unused Services or unexpired time left remaining on an extended term. In no event shall HVL, its officers, directors, employees, or agents, be liable to you or any other person or entity for any direct, indirect, incidental, special, punitive, or consequential damages whatsoever resulting from any person or entity’s use of the Services or this Site, including any damages that may result from (1) the accuracy, completeness, or content of this Site or the Services, (2) the accuracy, completeness, or content of any third-party sites linked (through hyperlinks, banner advertising or otherwise) to this Site or Services, (3) the Services found at this Site or any third party sites linked (through hyperlinks, banner advertising or otherwise) to this Site or its Services, (4) personal injury or property damage of any nature whatsoever, (5) third-party conduct of any nature whatsoever, (6) any unauthorized access to or use of our servers and/or any and all content, personal information, financial information or other information and date we might store, (7) any interruption or cessation of Services or the Site or third-party services or sites linked to this Site or the Services, (8) any viruses, worms, bugs, Trojan horses, or the like, which might be transmitted to or from this Site or the Services or any third-party sites linked (through hyperlinks, banner advertising or otherwise) to this Site or the Services, and/or (1) any loss or damage of any kind incurred as a result of your use of this Site or the Services found at this Site, whether based on warranty, contract, tort, or any other legal or equitable theory, and whether or not HVL is advised of the possibility of such damages. You specifically acknowledge and agree that HVL’s total aggregate liability for any claims shall not exceed the lesser of (a) $60, or (b) the total amount paid by you for the particular Services that are the subject of the cause of action. You agree to protect, defend, indemnify and hold harmless HVL and its officers, directors, employees, and agents, from and against any and all claims, demands, costs, expenses, losses, liabilities and damages of every kind and nature (including, without limitation, reasonable attorneys fees) imposed upon or incurred by HVL directly or indirectly arising from (1) your use of and access to this Site or the Services found at this Site; (2) your violation of any provision of this Agreement or the policies or agreements which are incorporated herein; and/or (3) your violation of any third-party right, including without limitation any intellectual property rights or other proprietary right. The indemnification obligations under this section shall survive any termination or expiration of this Agreement or your use of this Site or the Services. For purposes of jurisdiction and venue, this Agreement shall be deemed to have been negotiated, executed, and delivered, and is to be wholly performed, in the City of Carlsbad, County of San Diego, State of California, and the rights and obligations of the Parties shall be construed and enforced in accordance with, and governed by, the internal, substantive laws of the State of California, regardless of conflict of laws principles. The exclusive venue for any action to interpret or enforce this Agreement, or any action in which this Agreement may support a defense or counter-claim, shall be in the Superior Court for the State of California, San Diego County (North County Division). You hereby consent to such jurisdiction and venue, and waive all defenses of lack of personal jurisdiction and forum non conveniens.